Absrtact: Through single factor test, orthogonal test and validation test of far-infrared and microwave drying technology in the drying process of sweet potato, the effects of different far-infrared drying time, far-infrared drying temperature, material quality and microwave drying time, microwave power and slice thickness on the drying process of sweet potato were discussed. The experimental results show that the optimum drying technology of far infrared-microwave is: drying temperature 115 C, drying time 2 h, material quantity 0.2 kg/kW, microwave drying equipment 240 s, microwave power 550 W, material slice thickness 2 mm. Under these conditions, the drying rate of dried gourd materials tends to be uniform and the heating is uniform, which provides useful parameters for the industrial application of combined drying gourd drying. The dried sweet potato is a high starch product. When the moisture content is 20% and the sugar content is 40 Bx, it can absorb microwave energy strongly and convert it into heat energy immediately. In addition, the uneven thickness of dried gourd and the overlapping and covering of drying process increase the thickness of the material. If the drying time is prolonged, the moisture will evaporate because of overheating, and the material will be easily scorched or expanded, which will make the dried gourd products scrapped. Far-infrared drying is a kind of drying device which takes far-infrared as the dominant medium and converts electric energy into heat energy, so that the molecules inside the object absorb far-infrared radiation energy after far-infrared radiation, and then directly convert it into heat. 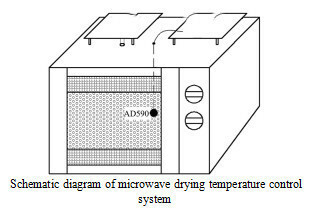 Microwave drying is an internal heating method, after microwave enters and is absorbed, its energy is converted into material dielectrics. Microwave drying has more advantages than traditional drying for materials with water content less than 30%. The above two drying methods have the characteristics of high thermal efficiency, energy saving and good drying effect. This project adopts the energy-saving drying technology of "far infrared-microwave drying" instead of the traditional coal-fired drying technology. It combines the advantages of microwave drying and far infrared drying. Firstly, the far infrared drying technology is adopted until the moisture content is less than 30%, and then the microwave drying technology is adopted until the moisture content is less than 15%. This makes the drying rate of the dried material tend to be uniform and the heating is uniform, and reduces the color of the material in the drying process. The destroy of aroma, taste, structure and active ingredients has the advantages of fast drying speed and short drying time. The optimum technological conditions (power and drying time) were determined through experimental study in order to improve the drying efficiency of sweet potato and provide useful parameters for industrial application of combined drying of sweet potato.